Are your employees thriving or merely surviving? A thriving workforce is one in which employees are not just satisfied and productive. They are also engaged in creating the future for themselves and the company too. Are you preparing employees for what’s to come within your company? If you’re unsure of how to properly assess your performance review goals, BirdDogHR can help. 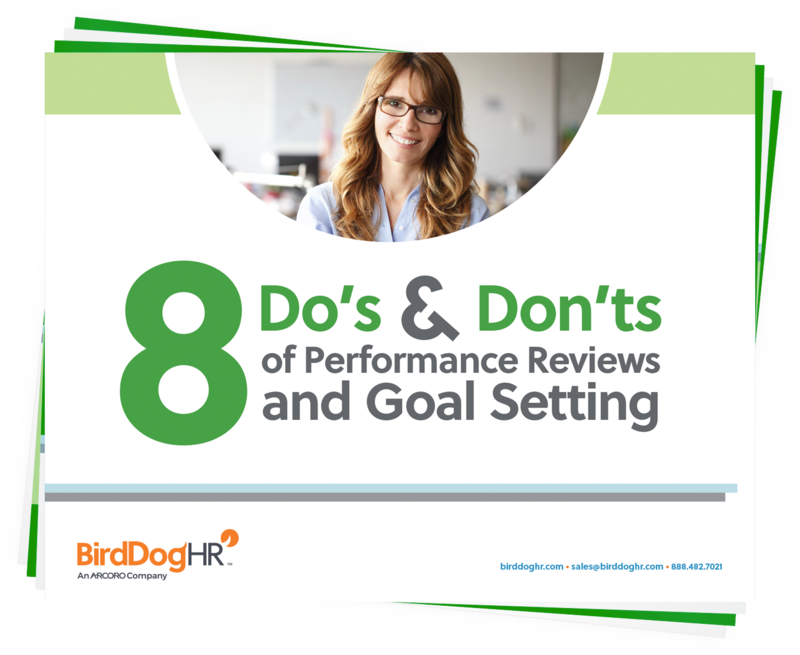 Download this whitepaper to get the do’s and don’ts of performance reviews and goal setting. A few simple changes in current processes could give you and your employees a new found competitive edge.